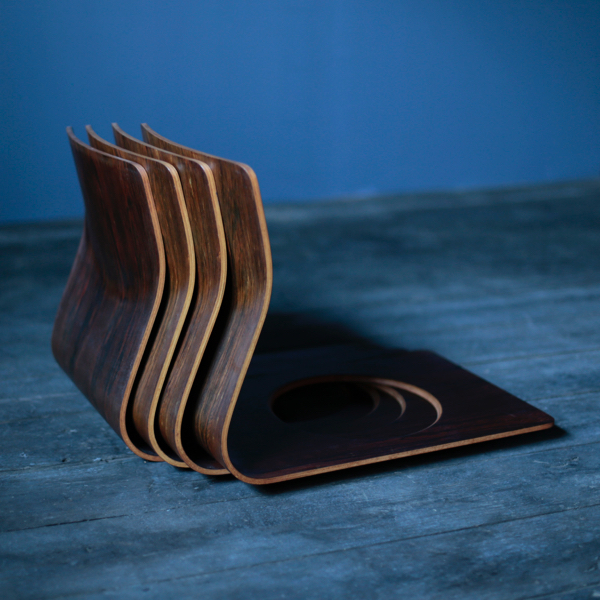 A single plywood bent into a three-dimensional curved surface, a simple structure. 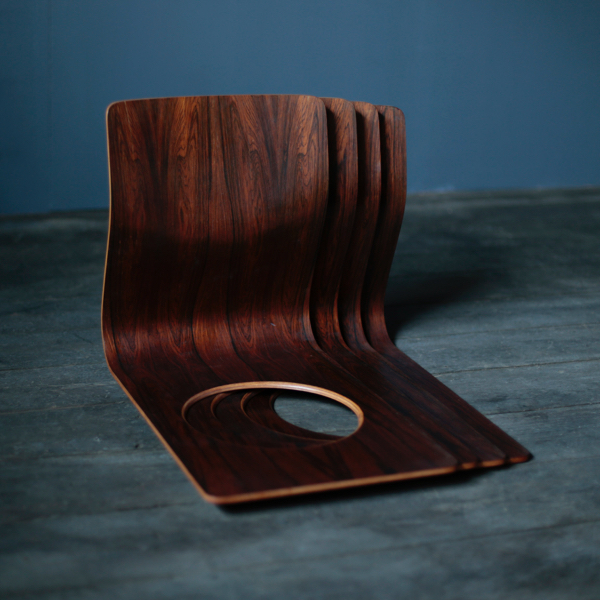 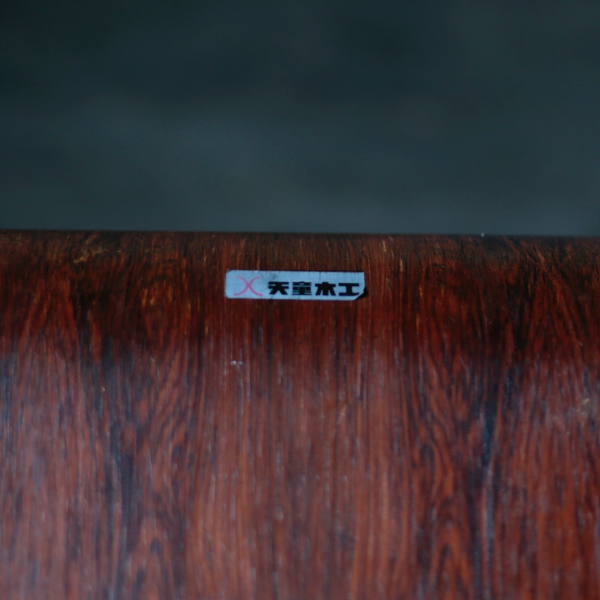 Rose wood grain is beautiful rare seat chair. 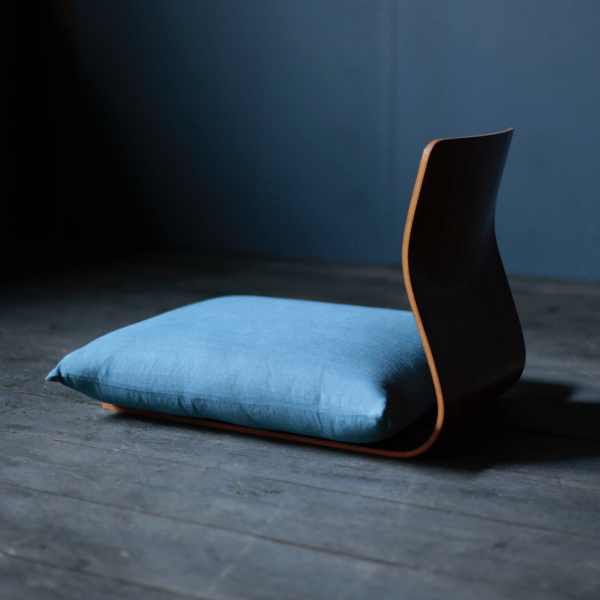 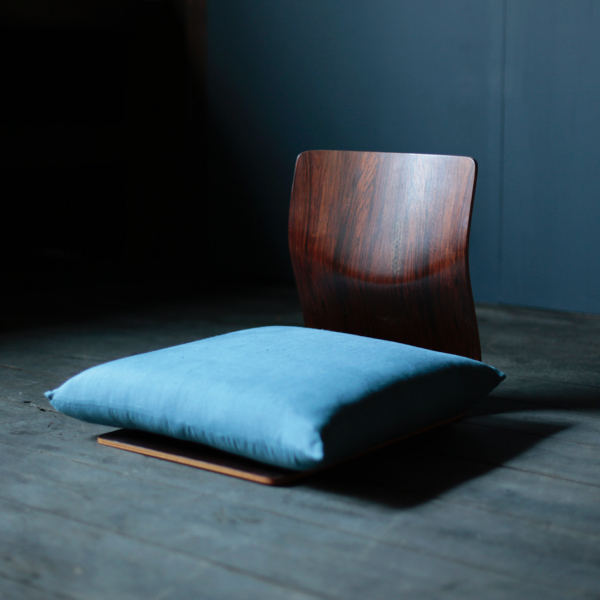 The hole drilled in the seat surface prevents displacement of the cushion by friction with the tatami mat. 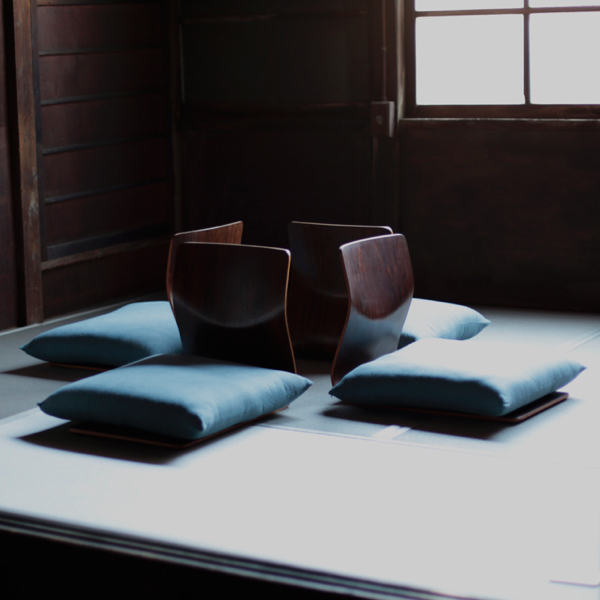 It was announced by Mr. Kenji Fujimori in 1963 and has been loved by many inns and general households due to its function and design beauty.